Last year, I watched the movie, The Clash of Titan before. I still remembered that Black Pegasus, Andromeda, Zeus, Hades, Meduse and Perseus...After the defeat of Kraken, Perseus refuse to live the life of a god and a warrior and choose to have a peaceful life with his wife. 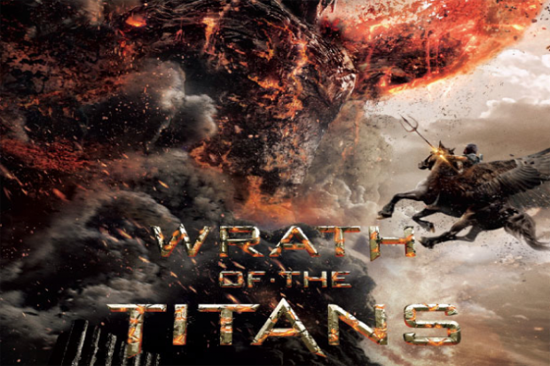 Now, the Perseus is back in the movie, Wrath of Titans again! You know a story about Perseus, half-human-god, and is great god Zeus, living a quiet life as a fisherman, and promise with his late of wife to take care of his son, Helius. 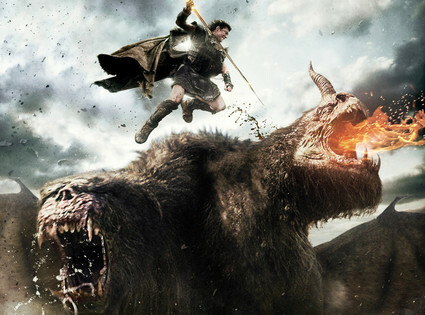 Zeus and gods need Perseus's help to fight with his father, Kronos. But, he rejects his help because he focused on his son only. So Zeus, Poseidon and Ares went to the underworld to look for Hades to rebuild the wall of Tartarus in order to prevent Kronos from escaping from the place. But, Hades and Ares, Zeus's son betrayed Zeus and Poseidon because Kronos wants to take Zeus' power so that he can escape. 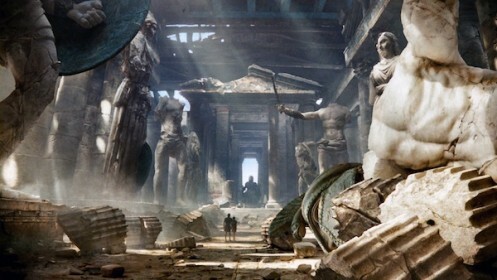 Ares hated Zeus because he felt that his father like Perseus more than him. Poseidon who escapes and went to Perseus...so, he need Perseus find his son Agenor so that he can take him to Hephaestus, the very person who forged the weapons of the gods and to save Zeus from Kronos. I am really don't know who is Agenor because I don't read the greek's story book about him. Pity Agenor for not become popular like Herculas and Perseus! I felt that the effects of 3D are good only, but it used more explosions, fire and rocks. But, the war not looks as real... not many people come out to fight with the monsters. So, I don't see more monsters and soldiers in a war place... It focused on the greek gods so mostly because Perseus always fight with Ares, a half-cow-human and big-sized monsters only. 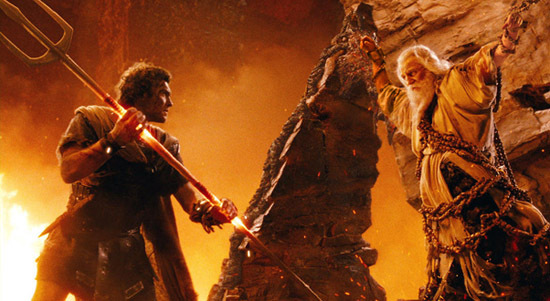 Wow, Zeus and Hades can fight with monsters so easily! They are powerful gods can beat them in a short time only! If I am a god, I can use my own power to kill them so easily! Haha. The powers; Zeus, lighting and Hades, darkness to help Perseus to beat Kronos too. But, Perseus easy to beat Kronos in the short time too! He just throw his new weapon into Kronos only! Haha. Then, the ending of movie is not interesting... I surprised that first time, Queen Andromeda, beautiful lady who lead the soldiers to fight with the monsters in a war! So, I think that she should be goddess Athena!